Ok, I admit it. I’ve been teasing you with bits and pieces of information about my Summer 2015 capsule wardrobe. Although most years I probably won’t start my summer capsule quite this early, I decided to this year because I just couldn’t wait until June to get my first ever capsule wardrobe started! After going through and completely cleaning out my closet to get down to my 38 items for this first capsule, I was astonished at the lack of clothing hanging in my closet. I’ll be sure to tell you more about the process of getting my first capsule underway in a later post. Cleaning out my closet was no easy feat! But today, I wanted to give you a glimpse at more of my style and the items that are appearing in my capsule wardrobe. As I mentioned, this is NOT my entire capsule wardrobe. But it is a good sampling of my items. Most of these are similar to what I have in my capsule, but not the exact same as much of what’s in my capsule is too old to still be for sale online. I did go over my 37 self-imposed limit for this capsule. I forgot about one of my shirts as it was in the wash when I was choosing my capsule items and then when it came out of the wash I couldn’t bear to pack it away for the season, so I decided 38 items would be ok this time. After all, I am doing this capsule for 4 months instead of 3 months. That helps make it ok, right?! Anyhow, this capsule wardrobe experiment isn’t about being unhappy or neglecting my desire to wear my favorite clothes to stick to exactly 37 items. Instead it’s about learning to narrow it down to what I do actually love and want to wear. To help myself for future capsules, I’ve been keeping a log of how many times I wear each item. I hope that by the end of this capsule I’ll be able to see what I’ve learned and which items are versatile and maybe which ones are not so versatile too. This should help me make better shopping decisions in the future. 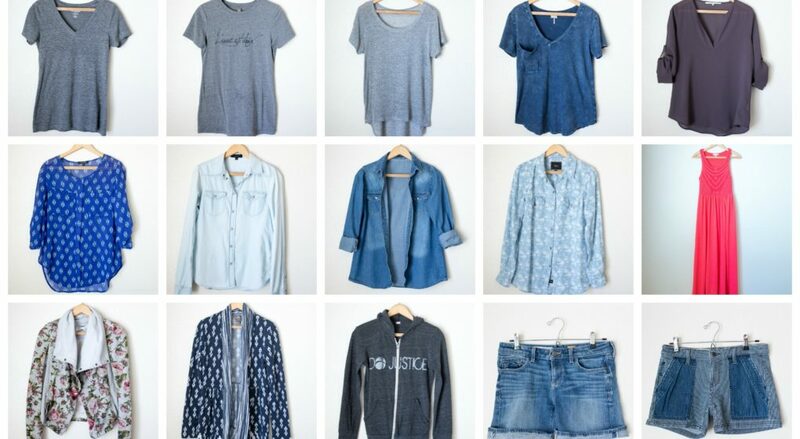 What do you think of my Summer 2015 capsule wardrobe? I definitely couldn’t have an all-neutral capsule like some people have. I love color and pattern way too much for that. Looks good! 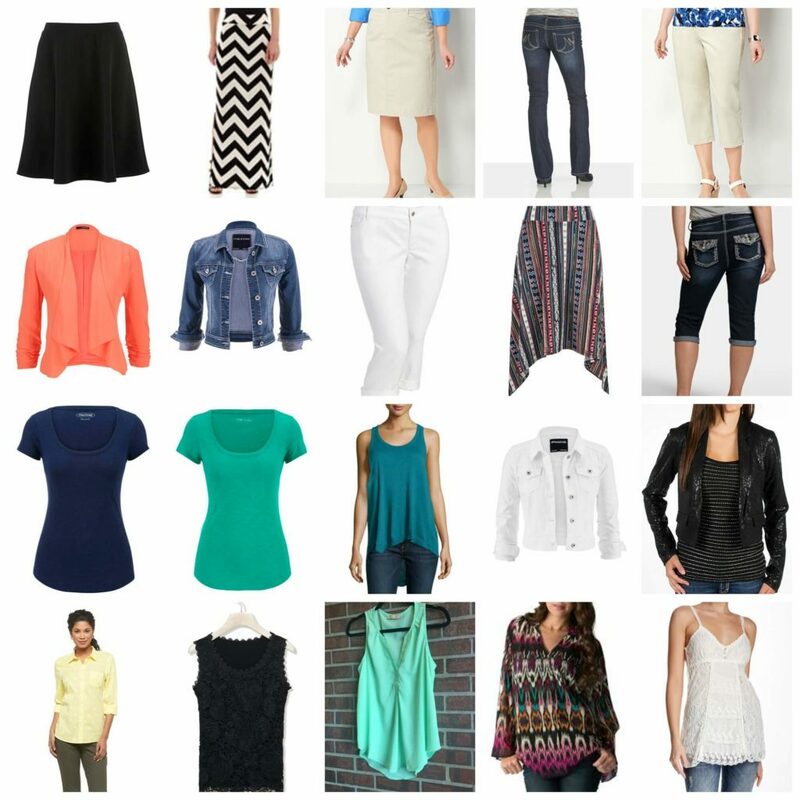 I am still hoping to find the time to clean out my closet and get a capsule wardrobe sorted out for summer. I love looking at other people’s capsules for ideas on what distribution of tops/bottoms/warm/cool/etc would work well. Thanks for sharing and good luck. It’ll be interesting to see how much each item gets used. I’m working on doing the same thing in my closet, though I don’t have a set number. It’s not an easy task! I quit my day job 3 months ago, to pursue my own business. For the most part, I wear a lot of yoga pants and t-shirts/tanks. However, I have been seriously struggling to get rid of all my nice dress clothes in my closet. I grew up pretty poor, where we didn’t have a lot of clothes. As I got older and I was able to afford more things, I splurged (a little too much), so I’ve built-up quite the wardrobe. One that I loved, and made me [superficially] happy. But, it’s been 3 months, and there are things in my closet that I haven’t touched, and likely won’t. Sure, I need to keep a few nice things for potential client meetings, or dinners out with the husband, but overall, I don’t need what I have. I am just struggling to part with it (and with the shoes). This post is helpful. It reminds me that by getting rid of some things that I am not using, I will be simplifying my life. I think I’ll struggle with the same thing after I quit my job. Most of my wardrobe is office clothes, which I probably won’t wear after I quit my job.